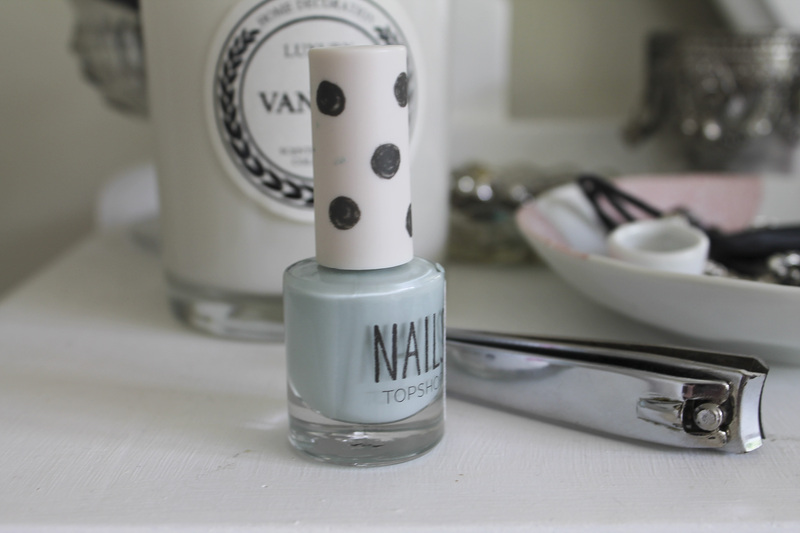 Mint Nails | emma etc. Recently I have been loving this nail polish on my digits, Disclosed from the Topshop make-up range. This could be a dupe for Essie's Mint Candy Apple but this one is more blue than green. It's a great summer colour, though I don't believe in wearing certain nail polishes for certain seasons. I think this nail polish will generally suit a lot of skin tones, lighter skin tones will blend nicely and darker skin tones will make this really pop. As for the formula I think it's pretty good, it lasts without chips for up to a week. I do want to try other colours from the Topshop nail polish range, I'll just have to wait for the Auckland Topshop store to get here... (that's a thing, isn't it?). I'm looking for some new nail polish as I get pretty sick of the colours I have already. Any suggestions? I love Essie nail polish, I really want to get my mitts on some of that good stuff soonish.